We’re now 4 months into our house build and while it’s had its ups and downs (more on that later) we’re at the stage where we need to start seriously thinking about what to do with the kitchen. We spend a lot of time in there as we both cook, and with the new layout we suspect that family life is probably going to revolve around that room. Cooking, eating, covering the table in glitter, glue and paper. And that’s just me! 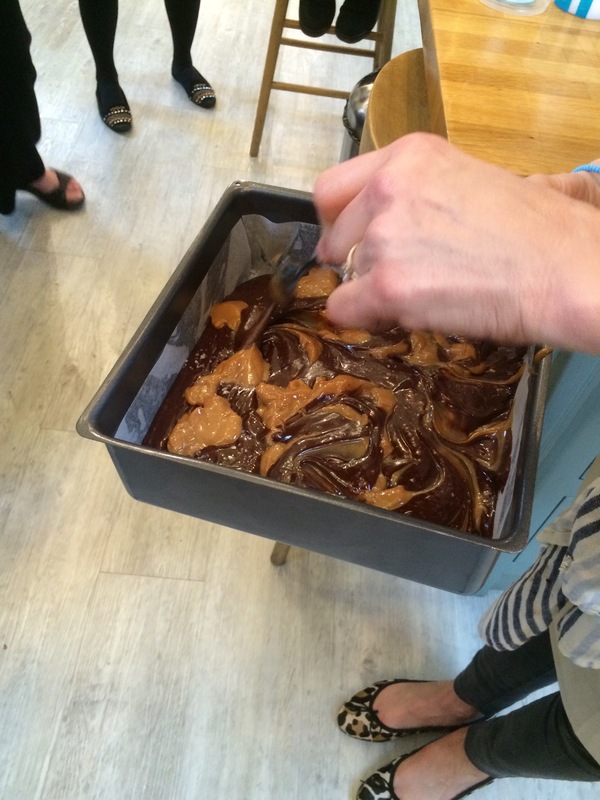 We had a brilliantly fun evening with Rachel Allen at Cactus Studios for a Panasonic Ideas Kitchen cookery class, and I was paired with the lovely Becky from Munchies and Munchkins. We had a full menu to cook between all of the assembled bloggers (and well done to Becky for remembering we needed to make salsa verde, when we got caught up in watching what everyone else was prepping) and we were assigned the Lemon Drizzle Cake, to be made in the Panasonic SD-ZB2512 Breadmaker, and the beef. Yes, that’s right. 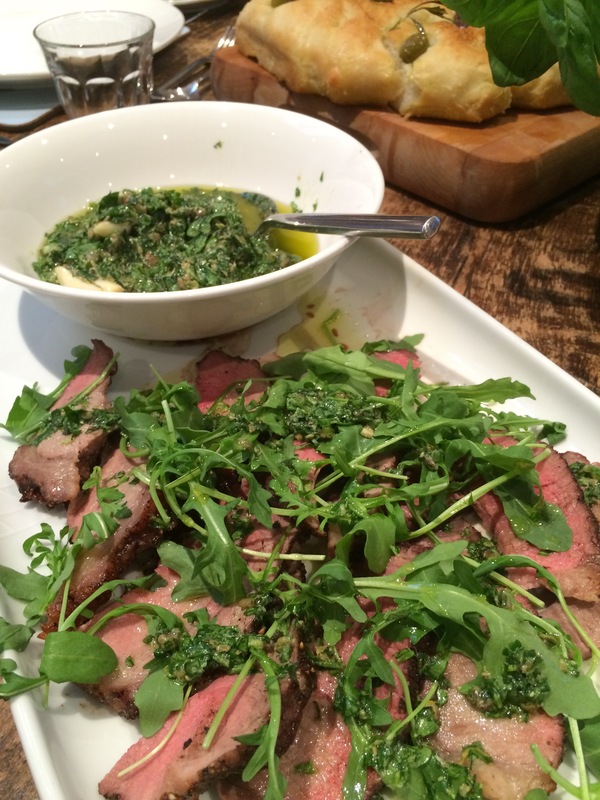 Roast Fillet of Beef with Salsa Verde. Cooked in a microwave. 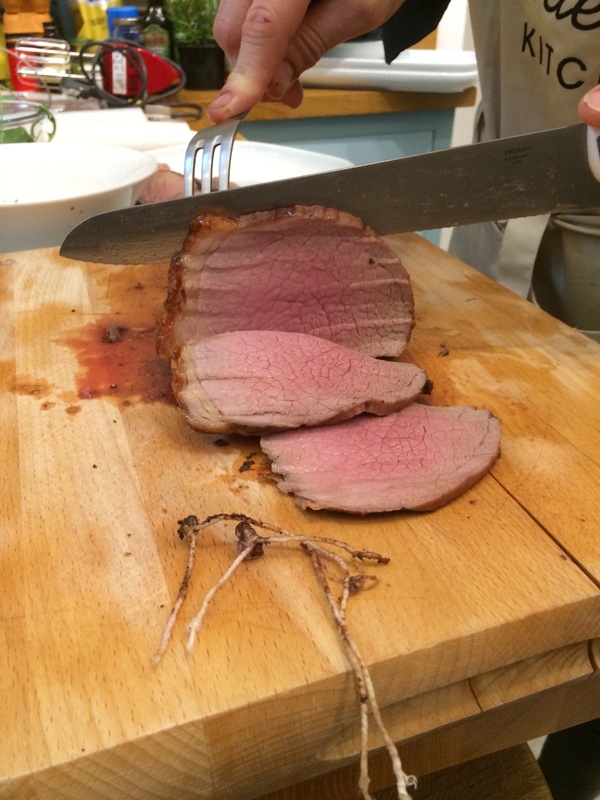 As it turned out, cooked to perfection, beautifully pink throughout, and with a caramelised crustyness and crisped fat outside. I really wouldn’t have thought it possible. The full menu, created by the lovely Rachel, showcased the combi oven and breadmaker. I know I’ll get schtick for saying this, being Irish, but the baked potatoes were one my highlights of the evening! 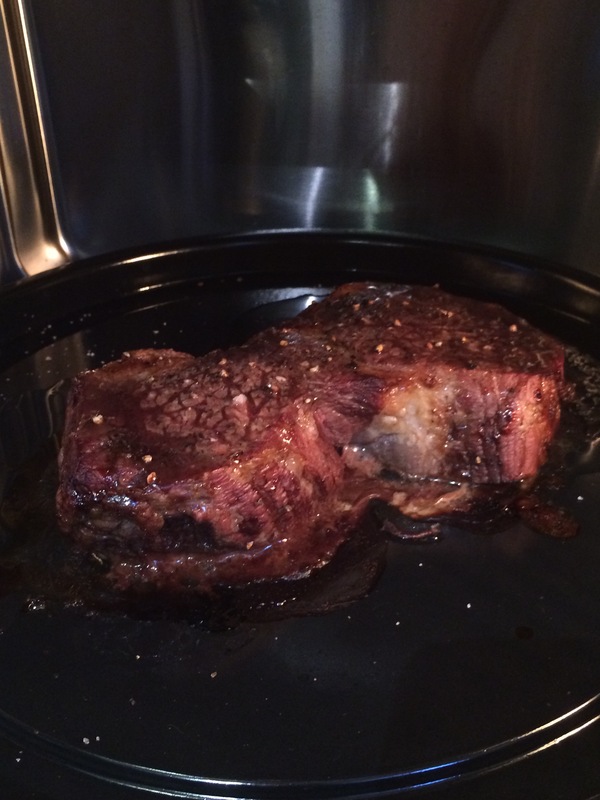 Crisp outside and fluffy inside, and cooked in a fraction of the time that a conventional oven would take. I proved my Irishness again by wanting to know, specifically, what kind of potatoes they used… Rachel understood the need. 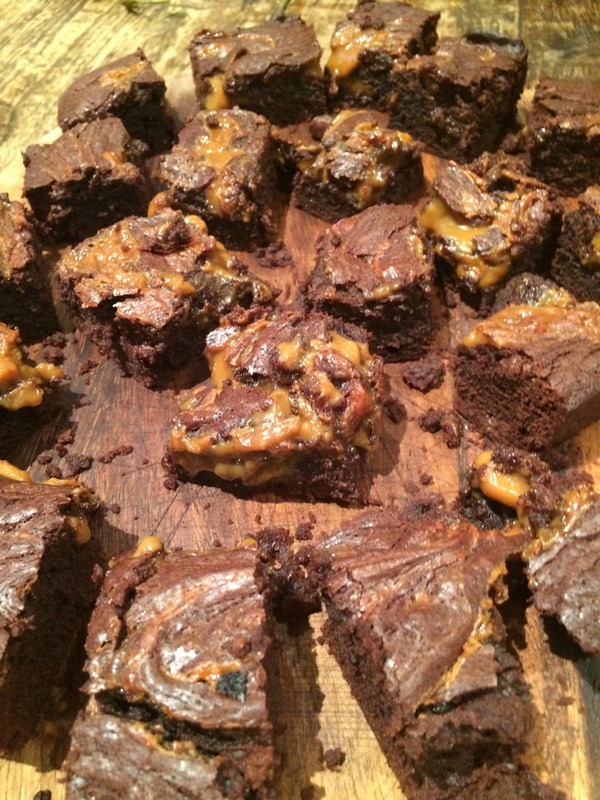 Another outstanding moment was the unveiling of Rachel’s Dulce De Leche Brownies. Attractively marbled and with the perfect amount of ‘squidge and wobble’ which I think is a technical term, no? I’ve been trying to avoid relying on wheat recently (along with a few other dietary changes while pregnant, because reasons) but I was intrigued to hear that one of the breadmaker’s new functions is Sourdough, including making a starter! Makes me want to find space in the new kitchen for another appliance. You can read about what the others cooked on Lavender and Lovage, Maison Cupcake and Mummy is a Gadget Geek. Great fun evening, I’m off now to tweak the kitchen plans and figure out where the microwave is going to go! Thanks Panasonic and Rachel for a fun and informative evening. 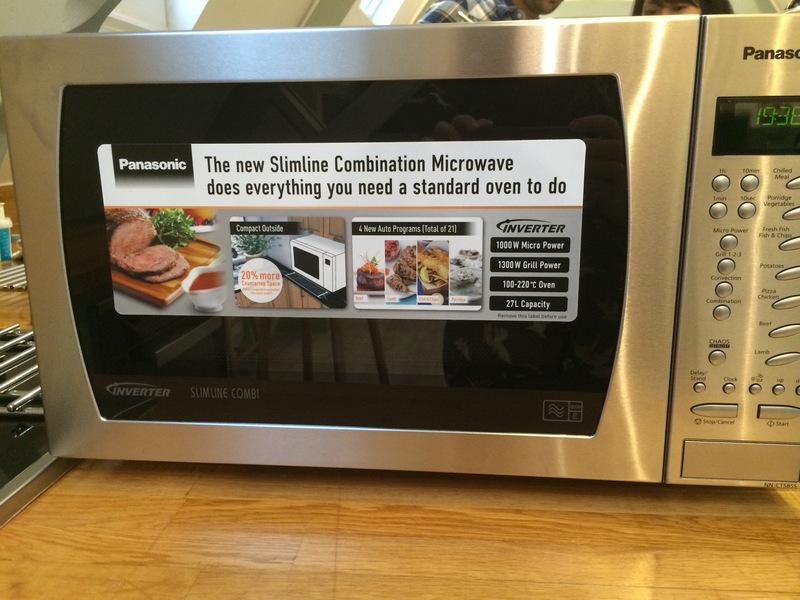 I will be receiving a Panasonic combi microwave oven for review. All opinions my own.